How can newlyweds believe they will be together forever, while knowing that the majority of marriages end in divorce? Why do people who desperately want to be loved end up alienating those who love them? How can partners that seem like complete opposites end up blissfully happy? This volume explores such fascinating questions. Murray and Holmes outline how basic motivations to be safe from being hurt and find value and meaning control how people feel, think, and behave in close relationships. 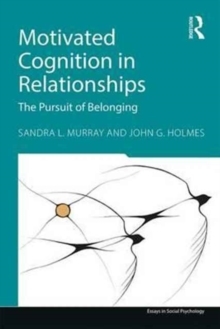 Additionally, the authors highlight how these motivations infuse romantic life through succinct and accessible descriptions of cutting-edge empirical research and vivid evolving stories of four couples confronting different challenges in their relationship. 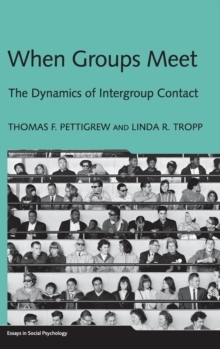 Integrating ideas from the interdependence, goals, and embodiment literatures, this book puts a provocative new spin on seminal findings from two decades of collaborative research. 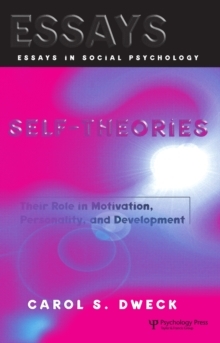 The book:provides a new, interdependence-based, perspective on motivated cognition in close relationships; advances a dyadic perspective that explores how motivation shapes perception and cognition in ways that result in motivation-consistent behavior;examines how "goal-driven" cognition translates a person's wishes, desires, and preferences into judgement and behavior, and ultimately, his or her romantic partner's relationship reality;offers a refreshing argument that the ultimate effects of motivated cognition on satisfaction and stability depend on whether the motivations which most frequently guide perception and cognition match the reality constraints imposed by the perceiver, the partner, and the characteristics of the relationship. This book is essential for social and personality psychologists and will also be valuable to clinical psychologists and clinicians who work directly with couples to effect more happy and stable relationships. Advanced undergraduate and graduate students will find it a highly engaging compendium for understanding how motivation shapes affect, cognition, and behavior in close relationships.